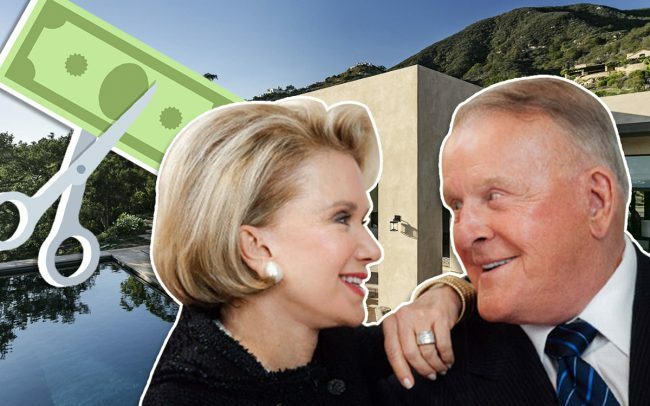 Over the course of two years, billionaire Discount Tire founder Bruce Halle and his wife poured about $25 million into their Montecito mansion, counting the 2016 purchase price and subsequent renovations. Now, as the prices of ultra-luxury homes in some of Los Angeles’ toniest neighborhoods continue to fall, the mansion has hit the market for $12.5 million, according to Yolanda’s Little Black Book. That’s about half the amount the couple invested, according to the report. Diane Cummings Halle, heiress to the Sara Lee company, put the home on the market a year after her husband died. The 8,000-square-foot home was new when the couple bought it in 2016 for $16 million. Still, they renovated the estate immediately, according to Yolanda, putting in an estimated $8 million. The 2.7-acre property on Mariposa Lane includes three bedrooms and 4.5 bathrooms. The master suite spans over 2,300 square feet, and the property features views of the ocean and the Santa Ynez Mountains. The listing agents are Suzanne Perkins and Ron Brand with Compass. Montecito is an unincorporated community east of Santa Barbara. It’s also a favorite real estate target for Ellen DeGeneres, who recently spent $27 million on 8,000 square-foot home shortly after she sold a different Montecito home for $34 million.